Can I transfer specific application from Windows PC to my Mac? 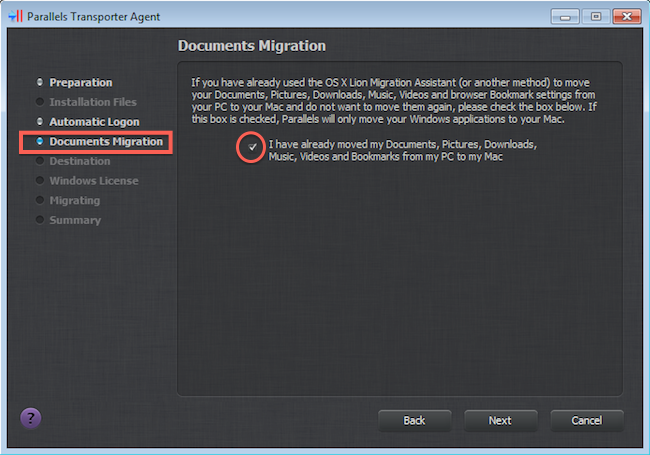 I would like to choose a specific application to be migrated from my PC to Mac instead of all Windows partition. Is it possible? 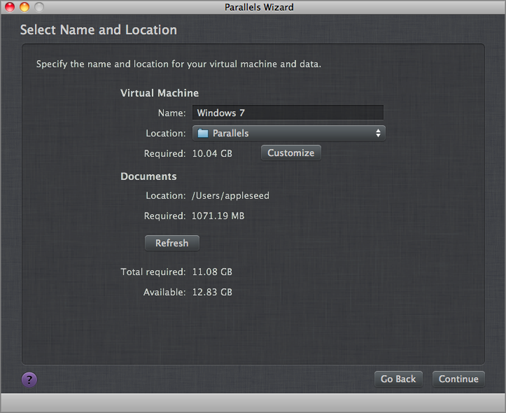 I would like to transfer applications from one Virtual Machine to other. When migrating your Windows PC over to your Mac using Parallels Desktop the Parallels Transporter Agent creates a full copy of your Windows PC disk. After such copy is created it is then transferred to your Mac and used as a Virtual Hard disk for the Virtual Machine that will be created as result of migration. Note: Windows installation and all your data on the source computer (your PC you want to transfer to your Mac) remains intact all the time during the migration process and after the transfer is complete. If your Windows PC has several disks or partitions you can choose which of them to transfer to your Mac. Click Customize and select which Windows volumes to migrate. If you already copied your data from your PC user folder (like Documents, Music, Video, Pictures, Downloads) over to your Mac using OS X Migration Assistant or any other method, you can exclude them from migration as well. You just need to check the "I have already moved..." checkbox as on the screenshot below. However, due to limitations of Windows operating system it is not possible to exclude applications installed on your PC from migration or to migrate Windows applications from one Virtual Machine to another. If you need to migrate Windows applications from one Virtual Machine to another Virtual Machine you will have to install them on your other Virtual Machine using the installation packages for those applications. After you install your Windows application on another Virtual Machine you may want to copy the data files related to that application (like databases, settings, bookmarks etc.) from the original Virtual Machine. Alternatively you can use Windows Easy Transfer utility from Microsoft to transfer your Windows installation from one Virtual machine to another. It is also not possible to migrate Windows applications from your PC to your Mac without migrating the whole Windows operating system. This is because Windows applications are designed to run on Windows only and OS X installed on your Mac cannot run them.